Prior to his recent post-rock-geared output, Moby made his musical living DJing and producing techno, breakbeat and house. Such a history has undoubtedly led to the accumulation of a sizable record collection, which the artist is now set to sell off for charity. 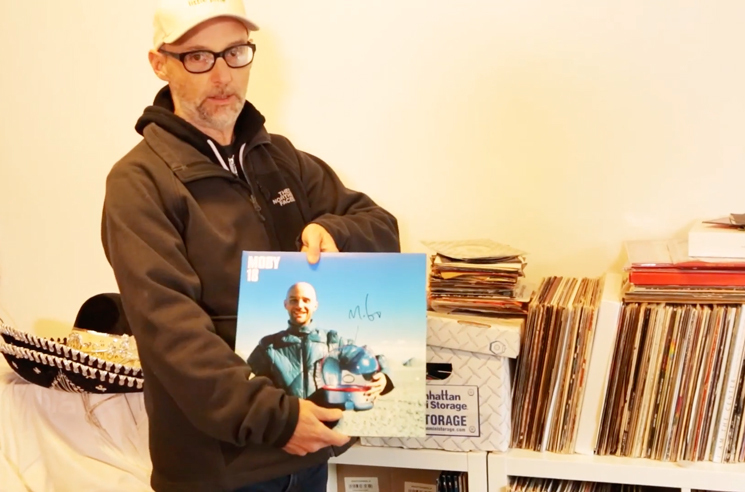 Teaming up with record resale site Reverb LP, Moby will sell his entire record collection with 100 percent of proceeds going to the Physicians Committee for Responsible Medicine. Among the pieces of wax that are up for grabs are 12-inches and singles Moby used in his sets throughout his time DJing, in addition to rare, mint condition and signed copies of his own records, including coveted catalogue classics Play and 18. "These are all the records that I bought and loved and played and carried all around the world," Moby said in an accompanying clip. "I would rather you have them then me, because if you have them, you'll play them, you'll love them, and the money will go to the Physicians Committee for Responsible Medicine. So everybody wins. Well, except me, because now I don't have any records." The sale will kick off June 14 through Reverb LP. You can find a video preview of what's to come in the player below.